A s many seasoned job seekers know, searching for the right job is not exactly the seamless process that many hope. There are lots of dreaded “no’s” before the anxiously awaited “yes.” The best way to make the process of job searching less painful is to have a clear plan. Having a plan of attack will help you realize what should be done, how it should be done, and the next step to success. Be organized. The job search can be confusing. We suggest getting a notebook or a file on your computer where you can keep all of your job search materials. Have a copy of all the cover letters and resumes you have sent out and a list tracking your applications. Remember to write down the company, contact, date and position for which you applied in order to appropriately follow up. Set goals. 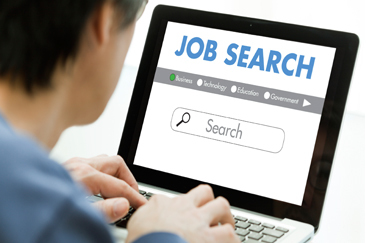 Everyone knows that goal-setting is one of the best ways to achieve an end result; a job search is no different. Setting goals is a great way to follow your progress and hold yourself accountable. Depending on your specific plan, setting a certain number of job applications per week, a number of resumes distributed, or a number of cover letters written, are all measurable tasks to track your progress. Use your network. Networking is just as important as applying for jobs. The contacts you have made throughout your past can be valuable resources for you and your job search. If you are able to, let your contacts know you are searching for a new opportunity. They will likely keep you in mind if they hear of a position that matches your background. Having contacts within a prospective company already gives you a leg up on the competition. Get yourself noticed (in a good way). It is likely that any given position has at least fifty other applicants, this means that in addition to an impressive cover letter and resume, you want your name to be remembered. Whether it’s a “congratulations” on an award, a tweet to the company, or volunteering where you know contacts at the company will be;all these activities will not only bring your name to the front of their eyes again but will also show the company you are determined and passionate about the position. But remember, any activity should present your name in a positive light and you should not be pushy or overbearing. Have an open mind. Job seekers often begin the job search thinking they will land their dream job and when this doesn’t happen they get very discouraged, very fast. This is why it is important to enter any job search with an open mind. Without an open mind, there could be many opportunities presented to you that you simply pass by just because it was not what was originally planned. Look at the big picture and consider what each job could offer you in the long run. When beginning your job search, remember that an organized plan is one of the best ways to fast-forward to the perfect job.